Bloom Time and Color: Medium blue flowers from late spring to mid summer. 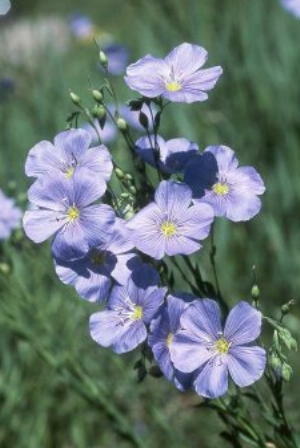 Description: Pretty little sky-blue flowers, 1/2 to 1 inch across bloom on light and graceful arching branches. Prefers cool summers, but will stand the heat. For best effect, grow in masses. Perfect for wildflower meadows and naturalized areas. Grows 18-30 inches tall.